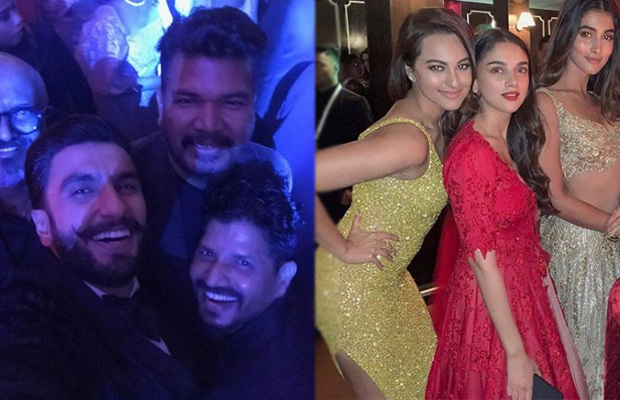 Deepika Padukone and Ranveer Singh hosted wedding bash which saw many celebs including Aditi Rao Hydari, R Madhavan with his wife, Pooja Hegde, Kajal Aggarwal, 2.0 director Shankar among others. Bollywood couple Deepika Padukone and Ranveer Singh tied the knot in Italy’s Lake Como on November 14 and 15. 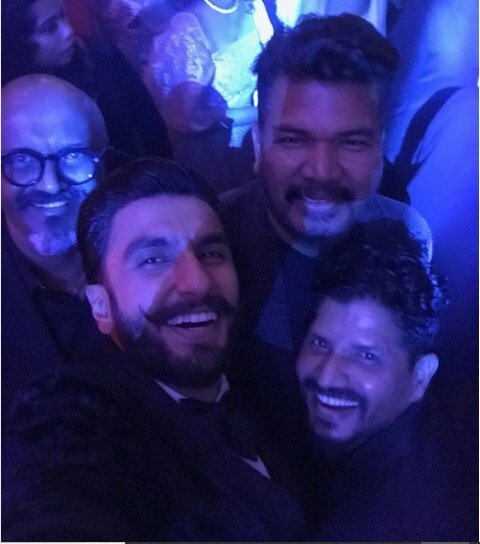 After their wedding, Ranveer and Deepika hosted their first wedding reception in Bengaluru and second in Mumbai which was attended by close friends and media. 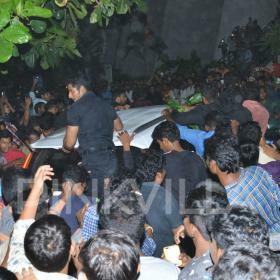 Another big Bollywood party was hosted last night which was attended by the who’s who from the film industry. 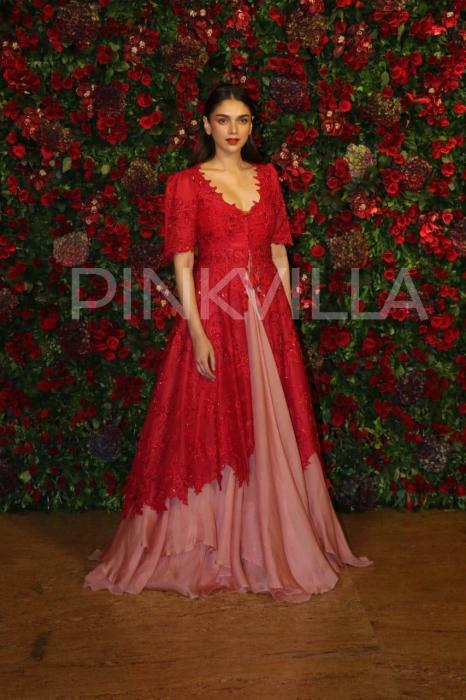 The couple hosted wedding bash at Grand Hyatt in Mumbai, which saw many celebs including Aditi Rao Hydari, R Madhavan with his wife, Pooja Hegde, Kajal Aggarwal, 2.0 director Shankar among others. 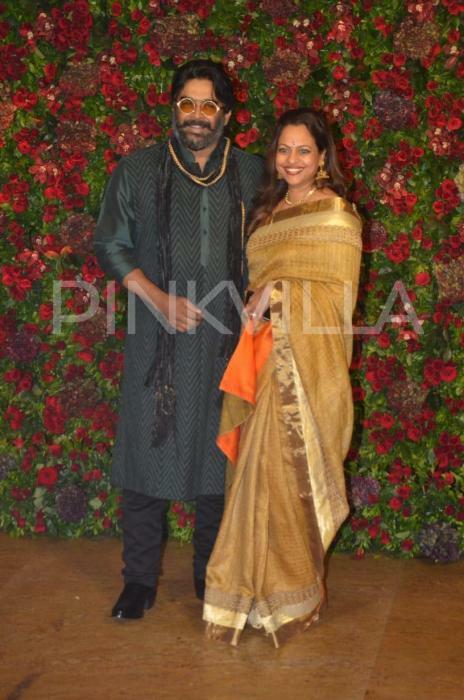 Actor Maddy made a dapper appearance with his wife; on the other hand, Aditi looked like a dream in a stunning red traditional outfit for the star-studded wedding party of DeepVeer. 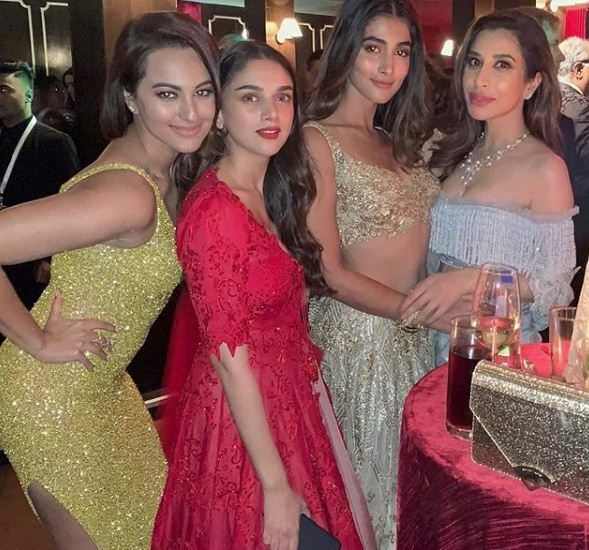 Pooja Hegde, who will be seen opposite Mahesh Babu in upcoming Maharshi, was clicked in a stunning golden lehenga by Rimple & Harpeet Narula. 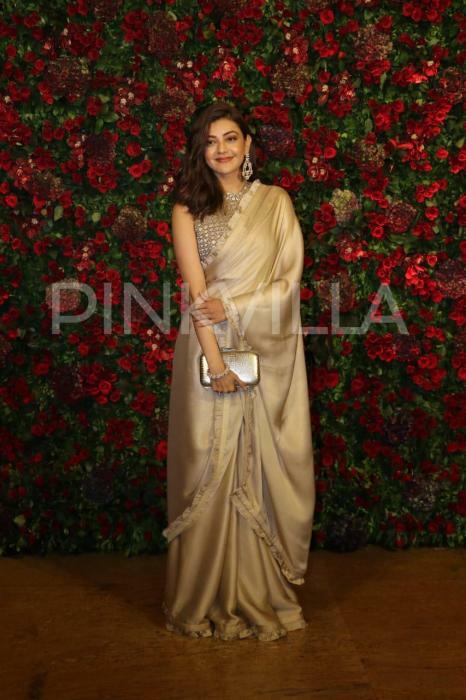 Kajal Aggarwal looked drop-dead gorgeous in a golden sari accessorised with statement earrings and a golden box clutch. The gorgeous Rakul Preet Singh picked thigh-high slit cut shimmery black gown and she looked hot like never before.